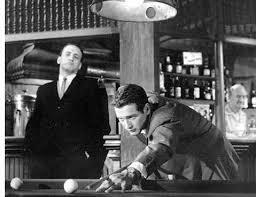 watching Newman play pool was one of the great disappointments of his life. honourable adversary, taciturn and calculating. matchless, a smart, damaged, feisty woman done down by booze and bastards. has to sell.” In the event, no one comes out of this story undamaged. your thumbs with Turk Baker.